As a lifelong passionate reader it blows my mind a little bit that illiteracy is such a huge problem in 2015. According to Internationalliteracyday.org there are 775 MILLION people around the world who are functionally illiterate. Over half of them are women. That doesn't just mean they're missing out on the joy of kicking back with a fantastic book on a slow Sunday, it means they're incapable of performing some of the most basic tasks associated with daily life and, more importantly, employment. Today is International Literacy Day, a day meant to increase awareness of the scope and problems associated with illiteracy in hopes that, eventually, it will be a thing of the past. So I'm going to briefly tell you about three of my favorite books. What Dreams May Come by Richard Matheson | I've read this book over and over and over. It's about a love that transcends heaven and hell (and I always bawl my eyes out) but it's also a fascinating look at the afterlife. The author spent years researching different views and beliefs about what happens after death then he wove them all together into a beautiful vision that makes me reach for this book again and again. Catherine, Called Birdy by Karen Cushman | Another book I've read a hundred times over the years. Catherine's father is determined to marry her off but she's not interested. She's sassy and clever and uses her wits to run off every suitor that comes her way. She spends several weeks trying to come up with her own unique swear word. She throws her sewing in the privy. When I was younger she was everything I wanted to be as a teenager! The Day the Crayons Came Home by Drew Daywalt | Ok this isn't like a lifelong favorite or anything because it just came out but I have literally read it every night for the past 2 weeks and it's still funny. There's a crayon who renames himself "Esteban the Magnificent" and we all snort laugh every. freaking. time. It's a follow-up to the enormously successful The Day the Crayons Quit, which is equally awesome. In honor of International Literacy Day I'm going to donate a copy of each of these books to a needy library. Donate Books | I mentioned yesterday that media mail is a super cheap way of sending books. Just wrap them in brown paper or throw them in a box and you can ship them for like a quarter of the price you'd pay to ship anything else. It's amazing. So head on over to ALA.org and check out their info on needy libraries. Then, pick a fav book and send it to someone else who might appreciate it! Support book-related charities | Or, you can always donate to my fav charity, Books for Africa. Fifty cents sends a book to a child in Africa- not too bad for 2 humble quarters. Or, check out this list of 150 literacy and book related charities for one that feels like a good fit for you. 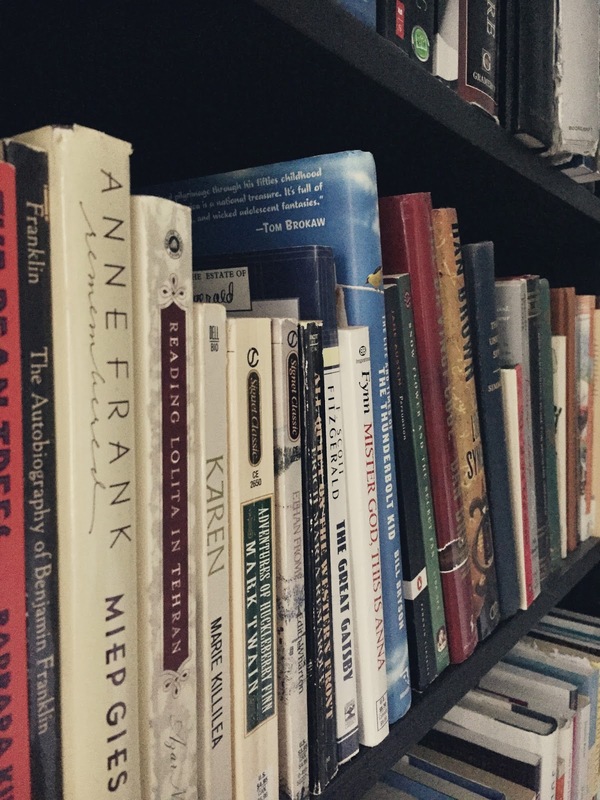 Read to others | In college I volunteered with an adult literacy program. Now I go in to my kids' school once or twice a month and help students with their reading. There are local shelters that are always looking for tutors or people to read to the kids who are staying there. There are tons of opportunities to go and help others learn to read or gain an appreciation for books! I used to read Catherine called Birdy a lot as well! She is totally hilarious and does whatever the heck she wants!